Whether or not to separate twins for preschool is no easy decision. It’s something I started thinking about a year before my twins started preschool. Working from home my twins had never been to daycare. They knew nothing other than spending their days with mom. That reason alone made the decision a tough one to make but I did and here’s why I separated my twins for preschool. 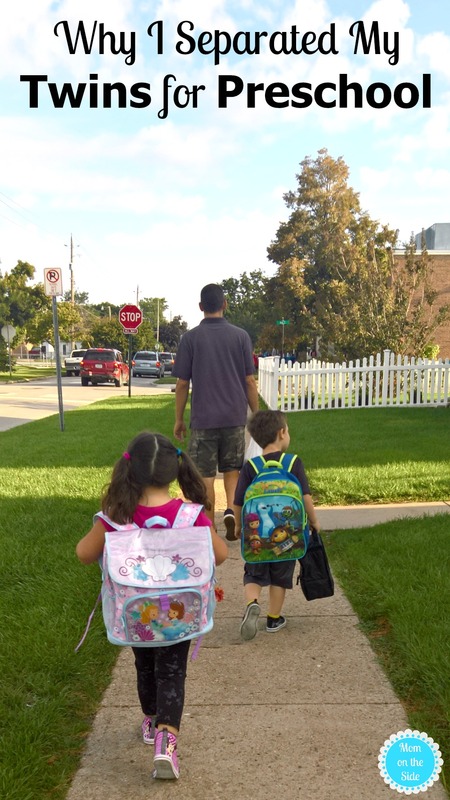 While I made the decision to separate my twins for preschool I never actually got the choice. Only one of my twins was originally accepted into preschool at our “homeschool” three blocks away. Only one twin wasn’t an option so I made a call to the district office and was able to get them both into another school about 15 blocks away. We were informed on back to school night they were in different classrooms and that’s what I was hoping for. Why did I come to that decision? A couple of reasons. Being in separate classrooms, I was hoping would help them find their individuality. I was starting to notice one twin copying the other, both good and bad behavior. They influence each other without even realizing it, which is awesome, but I also want them to know it’s okay to be different as well. We are a family of six in a small home and the twins being home with me all day was starting to get on their nerves. They were getting vocal about playing alone and getting annoyed with each other. Different classrooms would give them time apart. 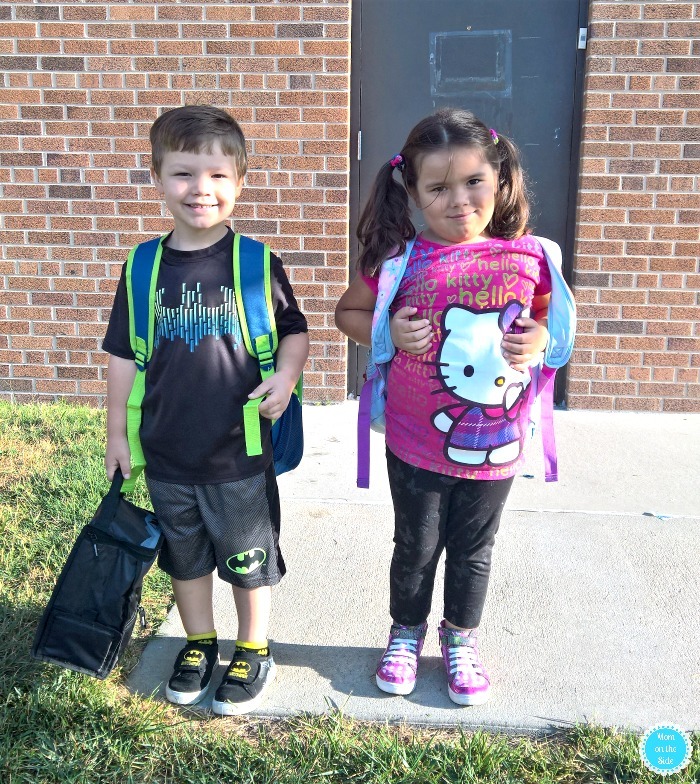 Preschool gives them a great place to make new friends. I didn’t want them gravitating towards each other during playtime and activities. Being separate would encourage them to interact with other kids. Did you separate your twins for preschool? I don’t have twins, but I have boys 14 months apart. We plan to send them to a preschool for 2 years, so they’ll be there at the same time. I intentionally plan to keep them separated. There is a class that they could go together, but I want them to have their own experiences without the influence of the other one. For us, it’s only a few hours a day, but those are important hours!